If you’ve been to 1Utama recently, you might’ve noticed that the famed Pablo Cheesetart outlet has shut down. When we rang 1Utama’s front desk, their sources confirmed that Pablo Cheesetart has indeed closed down their 1 Utama outlet permanently. 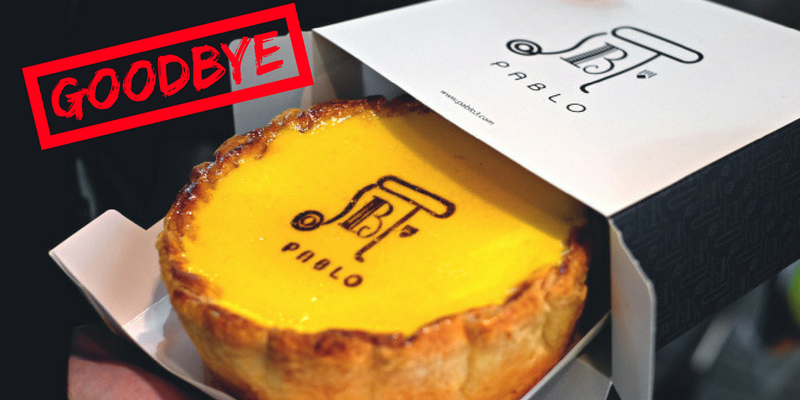 As Pablo Cheesetart only has 2 outlets in Malaysia—the 2nd Putrajaya outlet has closed down as well—there are no remaining Pablo outlets in Malaysia as of now. Many Malaysians would be familiar with Pablo Cheesetart’s melt-in-the-mouth tarts that are indulgent in every sense of the word. The brand, which originated from Japan, entered Malaysian shores 2 years ago and though we can no longer get the ooey gooey tarts in Malaysia, at least we can say that we’ve had the chance to try ’em. Pablo Cheesetart has also since removed its Facebook page, and calls to its hotline number goes straight to voicemail, stating that all incoming calls to the number has been banned. Though Pablo Cheesetart’s social media channels are still present, they are no longer active and the last postings were in May. Are you sad that Pablo Cheesetart is no longer available? Let us know in the Facebook comment section below!